Grand Targhee is cradled in the west slope of the Teton Mountains, a full-service resort with two mountain peaks and over 2,500 acres of skiable terrain. Targhee is known throughout North America as a skiers and snowboarders paradise with wide-open terrain and incredible scenic beauty with spectacular views of the Tetons in full view around every twist and turn. With their base at 8,000 foot elevation, powder is truly this resort’s middle name, and it’s not snow of standard fare. The quality of Targhee’s white gold is legendary among snow aficionados and no one can argue; it’s ranks as some of the lightest and driest in the country. 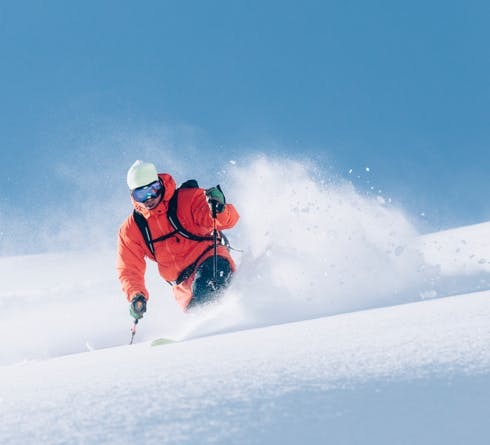 Targhee take also take claim to an annual snowfall of 500 inches each season and while 70% of Targhee slopes are rated intermediate in difficulty, there are also quality advanced slopes to challenge even the most proficient skier and snowboarder. First time skiers and boarders to the slopes will also be delighted with Targhee’s gentle beginner and low intermediate slopes, and there is a magical area just for kids where they can slide through Giant Ant Hills, the Eyeball Forest, or cruise into the Bat Cave (and don’t let your youngsters miss the North Pole or Alley Oop Alley!). 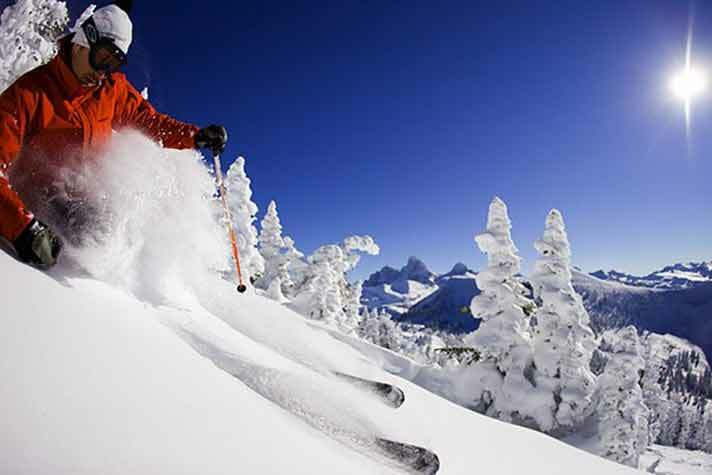 Since 1987 Grand Targhee has served up the optimum powder experience with their cat-skiing operation on adjacent Peaked Mountain. Conveniently accessible just beyond the lift served boundary, over 800 acres is reserved for powder skiers and snowboarders via the Targhee snowcat operation. On Peaked, the wide-open slopes and bowls are complimented with some of the best tree skiing found amidst the plentiful aspens on the lower third of this high altitude terrain. Targhee snow-cat guides are not only experts at finding powder stashes days after the last storm passes but for also dishing up an exceptional gourmet lunch with a huge serving of fun thrown in!